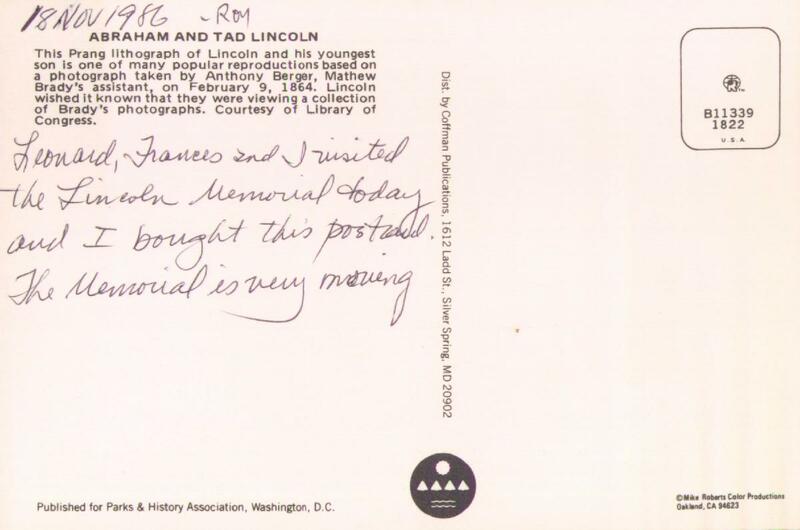 Leonard, Frances and I visited the Lincoln Memorial today and I bought this postcard. The Memorial is very moving. Published by L. Prang & Co. Lithographers Boston Mass. 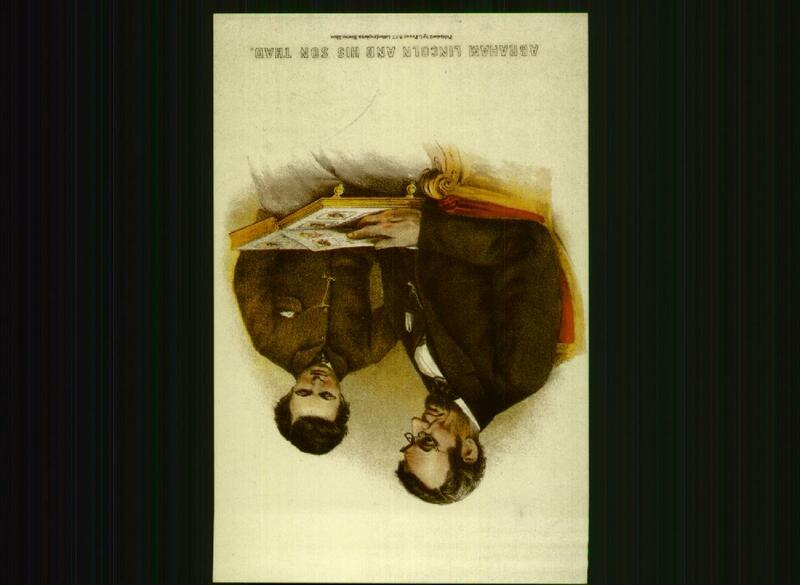 This Prang lithograph of Lincoln and his youngest son is one of many popular reproductions based on a photograph taken by Anthony Berger, Mathew Brady's assistant, on February 9, 1864. Lincoln wished it known that they were viewing a collection of Brady's photographs. Courtesy of Library of Congress. Published for Parks & History ASsociation, Washington, D.C.
Good job, Lincoln. Everybody knows it now.